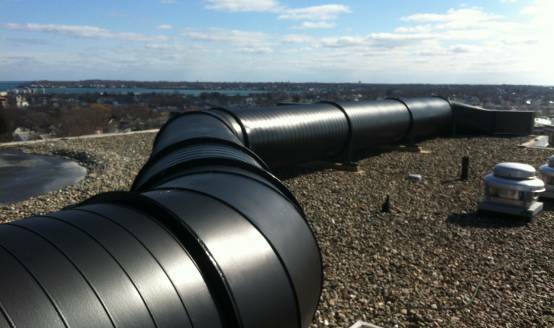 This 2,200sf solar air heating system was first proposed in partnership with Preservation of Affordable Housing (POAH)/Preservation Housing Management for the Salem Heights Apartment Building in Salem, MA. 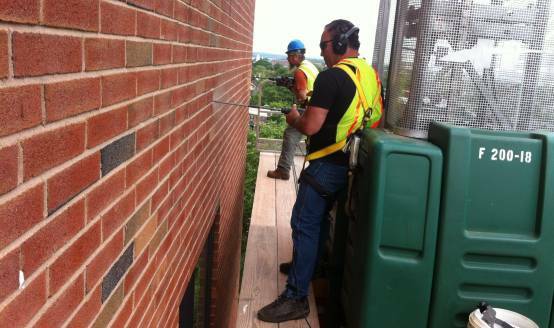 The project was submitted for grant funding under a competitive grant award with TD Bank, and was awarded funding to allow the project to proceed into construction as one of the most innovative solar projects in New England. With a seven storey height, and a seamless integration into the south wall of the towering Salem Heights building, the solar heating system sits atop of the hill looking over Salem and it's adjoining neighborhoods. 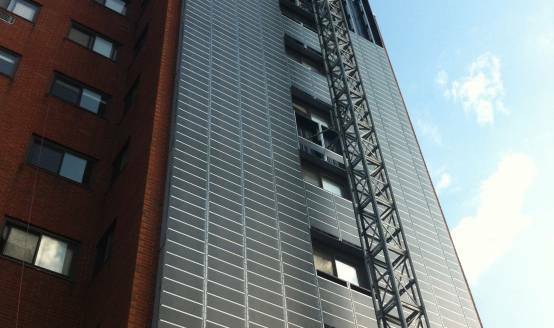 The Lubi™ glazed solar heating system was used for this project, and gave a finished architectural accent that rivals curtainwall glazing with a very modern appearance. 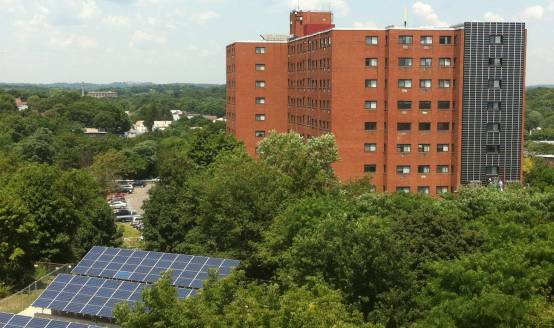 With 11,000cfm of ventilation to common areas within the building, the solar heating system pre-heats outside air coming into the building to save on natural gas.